There were 703 press releases posted in the last 24 hours and 154,043 in the last 365 days. 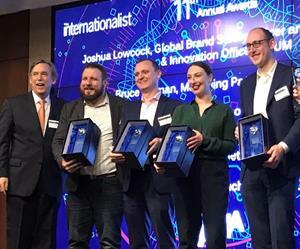 NEW YORK, April 16, 2019 (GLOBE NEWSWIRE) -- Wavemaker US cleaned up at the 11th Annual Internationalist Awards for Innovation in Media with four client campaigns recognized alongside US Head of Ecommerce Bruce Kiernan, whom was honored for driving an innovation agenda against the transforming marketing landscape to deliver growth for Wavemaker and its clients in the area of commerce. 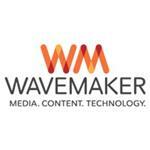 /EIN News/ -- The winning teams, which represented Wavemaker US clients’ Chevron, L’Oréal, IKEA and Bank of the West, were chosen for their immediate and measurable business impact at the intersection of media, content and technology evaluated by the Internationalist, a trusted source for international best practices. In 2018, Chevron was tackling public scrutiny in their long-time neighbourhood of El Segundo as its residents began to turn over and were replaced with those less-informed of the environmental impact of their local refinery. To highlight their contributions to the flourishing El Segundo community, Chevron opened its doors to their new neighbors through local messaging that traced their positive community impact while demonstrating that the future hinged on Chevron’s ongoing contributions to the safety and sustainability of their shared home. After 67 years, IKEA recognized an opportunity to reimagine its iconic Catalog and inspire consumers around design aligned with the ways they consume content today. The result was a holistic media and content strategy that deconstructed the print Catalog via billboards, pop-up experiences, personalized digital assets for multiple avenues of interactivity across the purchase journey. Challenged to make the Whole Blends brand a star pillar in the US market, Garnier tasked Wavemaker to reinvigorate the brand and build awareness in the US. Not only an opportunity to grow business, Garnier also saw an opportunity to connect emotionally with women who feel underrepresented. To do this, Garnier created a sixty-second brand anthem video aimed at ethnically diverse women who value heritage, tradition and family and have struggled to find the right hair product for herself and her family. This anthem was amplified across the platforms these women live, most notably during the Macy’s Thanksgiving Day Parade and, in a first-of-its-kind activation, in cinemas ahead of family-friendly movies. As an eco-conscious and sustainable bank, Bank of the West used an insight into the ‘conscious Millennial’ to launch a technology-first Out-Of-Home activation that proved its commitment to green energy. Partnering with technology company Pavegen, Bank of the West ‘Power the Change’ campaign brought this target into the movement through smart tile technology across four key markets (San Francisco, Sacramento, Los Angeles and Portland) to turn people’s footsteps into transferable energy on a large-scale. The Internationalist focuses on the reinvention of marketing around the globe by connecting the people and ideas in international marketing and advertising through original content, intelligence, thought leadership, community, collaboration, and influence. Marketer driven, The Internationalist has become a trusted source for international best practices and is dedicated to the business needs and challenges of international marketing professionals as they participate in multinational brand building and aspire to world class standards. Originally created as a trade publication, The Internationalist connects a global audience through content and case studies in print, online and in-person-- via peer-to-peer marketer events including Dinners, Think Tanks, Awards and Summits- all to better serve the needs of this fast-changing community.